Digestive discomfort is no fun for anyone, including your dog. This special formula contributes to balanced intestinal comfort and better absorption through high-quality nutrients. 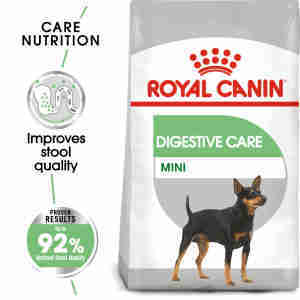 Royal Canin Digestive Care mini’s is perfect for dogs that weigh up to 10kg, and specially made for dogs with sensitive digestive systems. The range of prebiotics included help to support healthy gut flora as well as the balanced mix of soluble and insoluble fibre helps to limit fermentation and supports the intestinal transit. 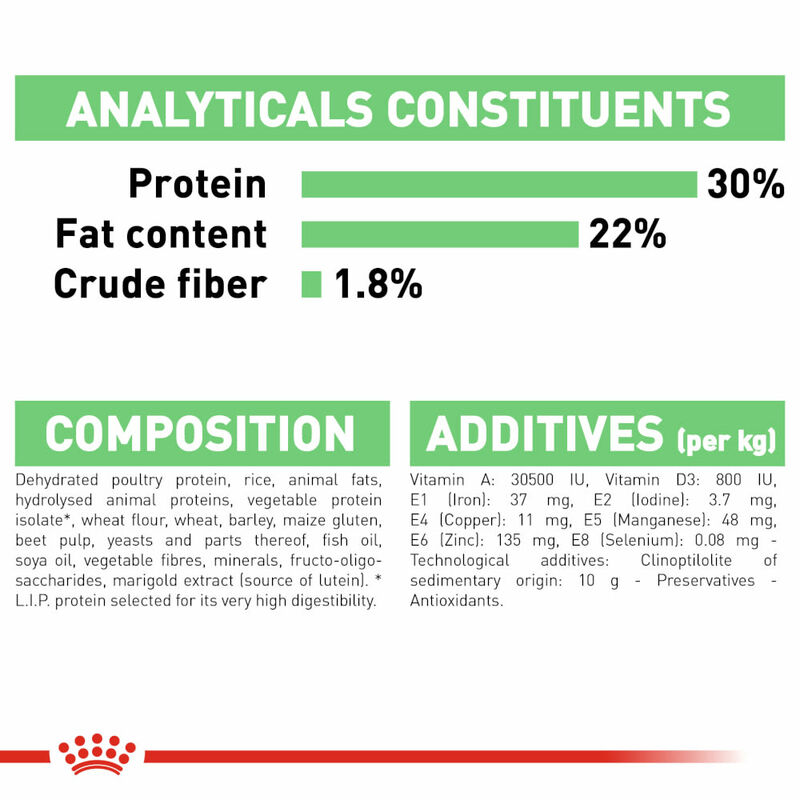 The highest quality proteins haves been used in this recipe, these proteins are also known as L.I.Ps, Royal Canin have used these proteins to adapt to your dog’s exact needs. 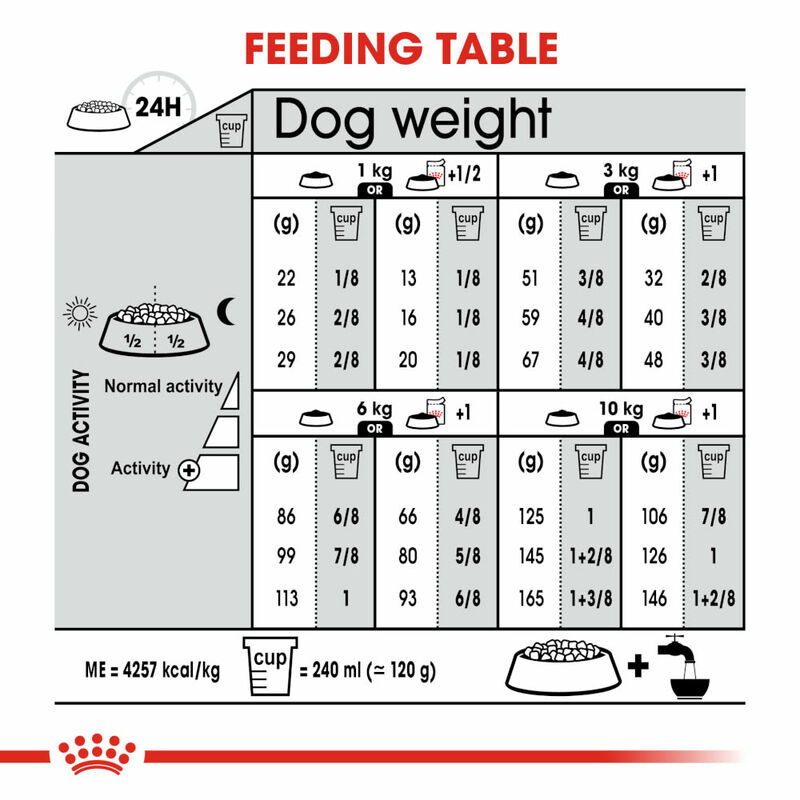 Royal Canin have used a smart cooking technique ensures that nutrients in this recipe are made better available for digestion. This high digestibility is confirmed thanks to our regular, rigorous quality checks. 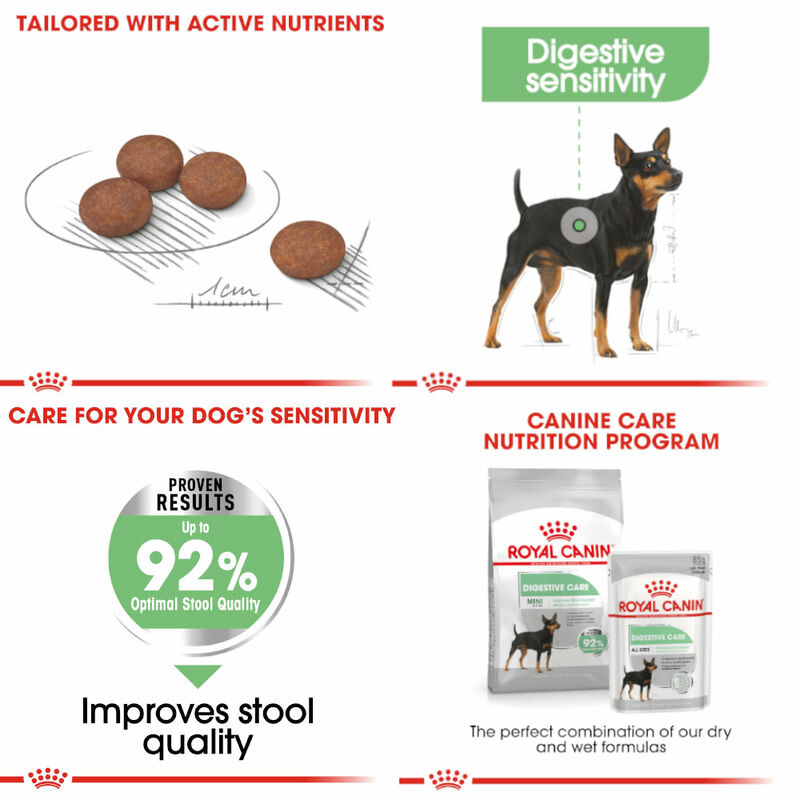 Don’t just take our word for it, Royal Canin’s Digestive Care Mini’s results boast up to 92% optimal stool quality development – the ultimate proof of a healthy gut. This means that Royal Canin Digestive Care Mini’s results are a proven success. Have used for 4 years for my Cockopoo who has a very sensitive tummy Love it & pet supermarket is fab delivery service & price! Have used this food for 4 years now switching to digestive after originally Mini for a Cockopoo Suits their sensitive stomachs! A very good food for all dogs especially those with a sensitive tum. All of my dogs have this food, funny tum or not and it suits them all, gives good coat condition, helps with dental care and is not fattening either. Very happy with it.